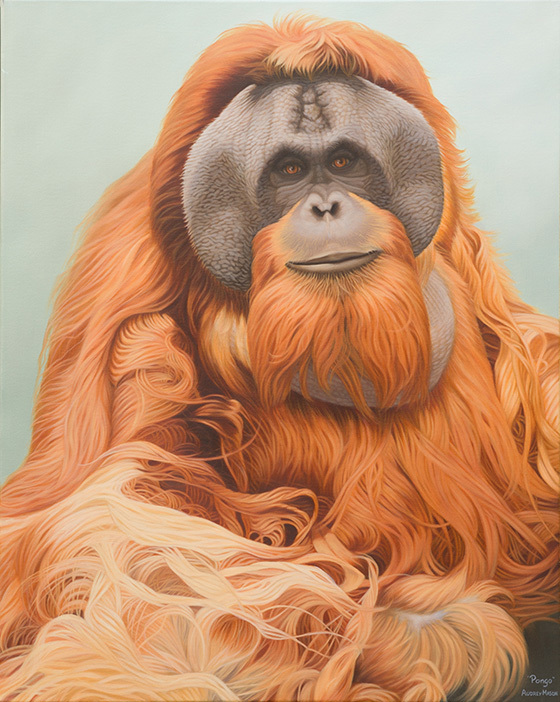 Pongo's portrait was painted with water-mixable oil paints on an acrylic primed canvas. This painting expresses my appreciation of his beauty and my love and respect for him. I have felt the desire to create art since the first time I held a pencil and I've felt a love and concern for animals since the first time I saw one. I have taught myself how to paint and my favorite subject is animals. Pongo's exceptionally beautiful hair was my main inspiration to paint his portrait. He is a 25 year old, 270 pound, handsome male orangutan who was born at a Miami breeding compound and kept at a tourist attraction until he was rescued by Patti Ragan who founded the Center for Great Apes. 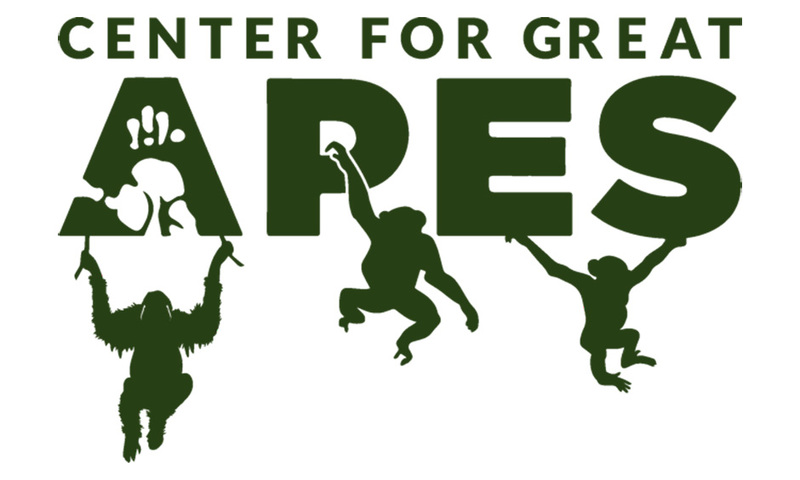 CGA is a wonderful sanctuary for orangutans and chimpanzees that have been rescued from laboratory experiments, entertainment and the exotic pet trade. He is a sweet ape that loves and appreciates his caregivers. Rachael, who is one of them, said "The first thing that comes to mind when I think about Pongo is the way he greets me, especially in the morning with his intense, kind stare. He tends to look you directly in the eyes, as though you are having a polite conversation".